One week after the biggest Moldova Developer Conference. 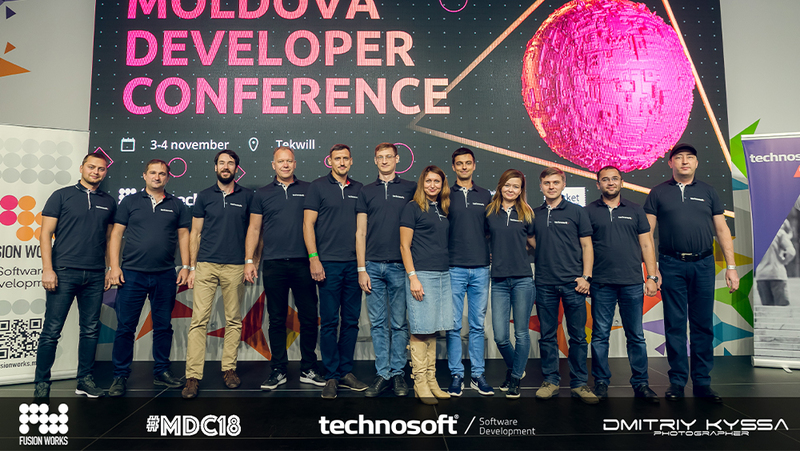 Together with FusionWorks, Technosoft was a proud sponsor and co-organizer of MDC18 (Moldova Developer Conference ’18) in the Tekwill building in Chisinau. The successful 2 days’ event included 350 participants and 16 speakers from The Netherlands, Sweden, England, Moldova and Israel. Together they provided a full schedule for the attending software engineers. With a wide range of topics such as modern trends in software development, blockchain, Agile development and marketing innovations, everyone had the chance to share their knowledge and learn from others’ experience. 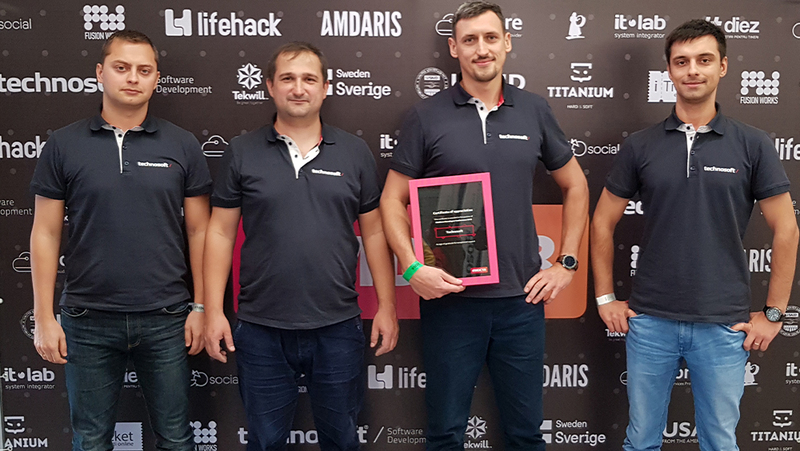 Egor Gucinski, our Head of Development & QA, was one of the speakers. He has shared his experience doing Agile projects while being miles away from customers. 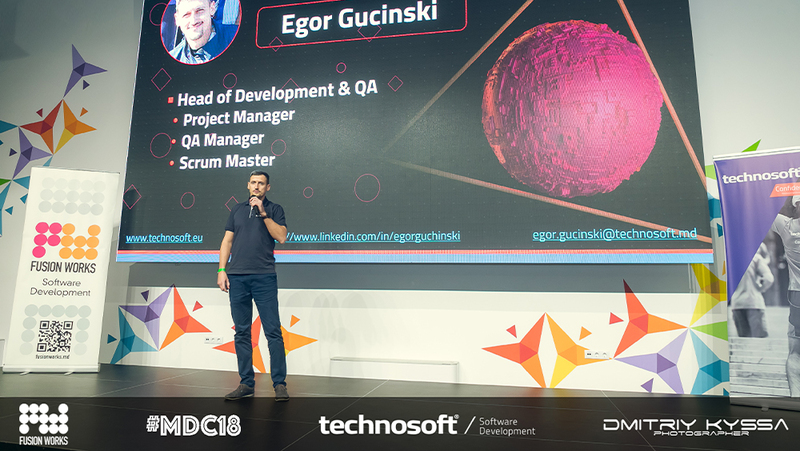 Egor brought up the usual challenges of development teams comparing the principles of Agile development with real life scenarios but also shared the possible solutions on project and team organization, ways of collaboration and team motivation. And finally suggested how to understand and maximize the added value of development team in Agile projects. More than 100 liters of coffee and 100 kgs of placintas (traditional Moldovan dish) kept the brains running during the conference. The tons of beer and snacks at the afterparty brought plenty of entertainment and moments to chat with other IT-people. 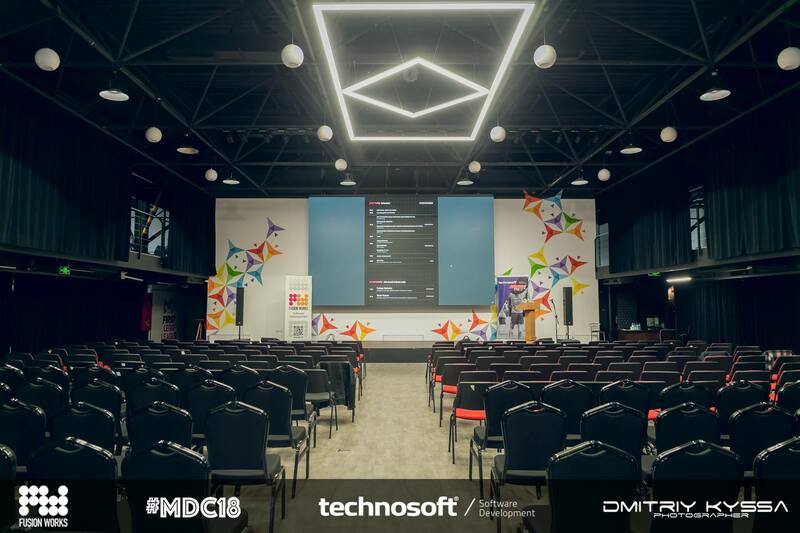 We are confident in an even larger audience and success at the upcoming #MDC19. If you want to follow up with our speaker Egor Gucinski, you can reach him via LinkedIn. You can also follow us on social media if you want to be up to date with our latest news, career opportunities and events.